Global Dreams Hotel is situated at a vantage point. It is the first ultramodern hotel you will come across immediately you enter the city Calabar by road. Set against a magnificent landscape view and tucked into a very serene part of the city away from the hustle and bustle of city life, Global Dreams Hotel has become one of Cross River Stateâ€™s most visited holiday inns. 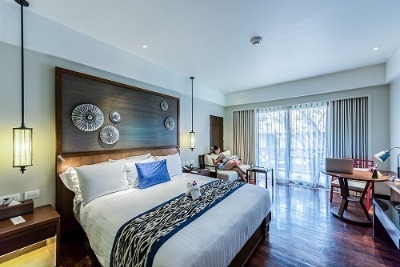 It has world-class luxury rooms that can accommodate a variety of tastes and budgets to the best of your comfort. We invite you to discover the experience. Live, work and play at Global Dreams Hotel. It has a world-class restaurant, an exquisite bar which promises amazing menus and offers free internet services, parking and shuttle services to in-house guests. It is about 5 minutes driving distance to the Tinapa business resort and 15 minutes away from the airport. Global Dreams Hotels is a budget hotel in Calabar, Cross River. The time I spend at your hotel was okay, I spent likes 8 hours because I got to the hotel really late but it was short but great, the meal I ordered for was made very fast, because it was late I was expecting that the either there will be no food or the it will take forever to get made but to my surprise its took less than an hour, its a place I will be coming back to very soon because I was welcomed well and treated nice. This hotel is far below standard. The service was nothing. I just managed to stay because I have already made payment. Room was a little cracking, no waste bin in the room. A lot of things were not really working. For hotel close to airport, I think it could be better. We ordered for a food around 9 pm and we were served half done rice, I couldn't eat mine but my husband managed to. And also, staff were not always on their sit whenever you called. Have nice pictures of Global Dreams Hotels?